Daniele Cruz is a fledgling artist from Brazil. She worked with me and Tiago Silvério to bring the Intergalactic Lucha Libre League project to life. Daniele’s forte is design, in partircular Character Design. After one of the most intense RPG campaigns I’ve ever narrated (and you can read all the crazy stuff here. Daniele was inspired to draw all the seven playing characters in the game. This is her second draft, in which she created the designs and tweaked them to make them work by herself instead of just following the description from the players. 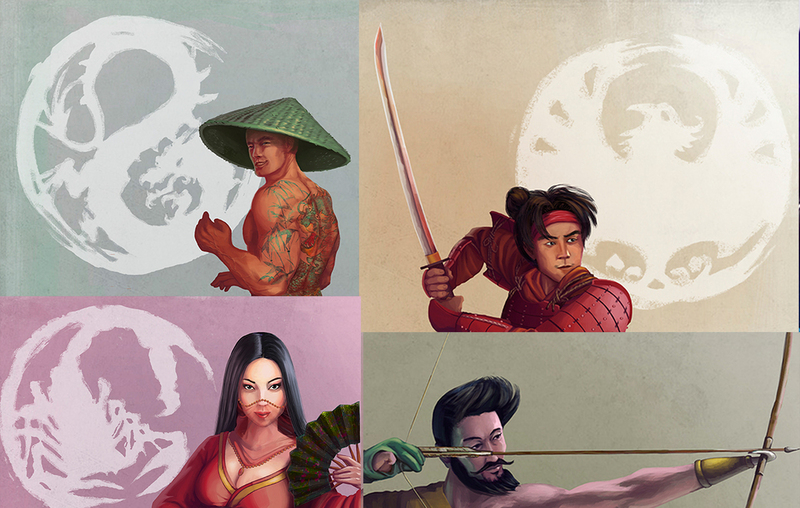 The full set is her “Legend of Five Rings” project.